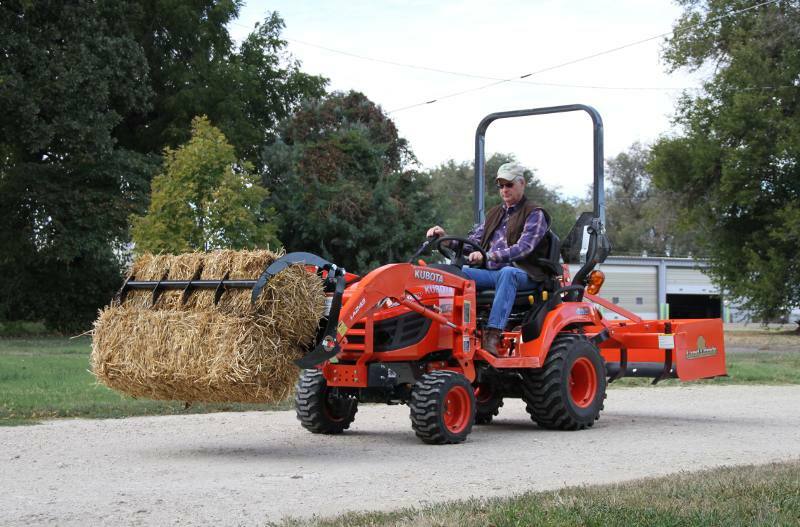 Move brush, clean stalls, lift debris, and so much more with Land Pride’s SGC05 Series Claw Grapple. The SGC05 will make chores a breeze. Easily grasp, lift, and move a variety of materials making property maintenance easier and less time consuming. Our SGC05 tines are manufactured from high-tensile AR400 Steel to make sure it stands up to demanding use. For added strength, the frame is made of 2" x 3" rectangular tubing. And it carries the Land Pride name, so you know quality is built in. This American-made Grapple features a park stand for easy attach and detach. The 9-3/8" tooth spacing and a 30" jaw opening make this attachment a versatile tool to help you get work done. The SGC05 Series Grapple weighs in at 156 lbs, only 24 lbs more than the standard BX bucket. With a stated lifting capacity of up to 518 lbs, a BX25D and SGC05 together can lift up to 360 lbs – more than enough to make quick work of the largest jobs. 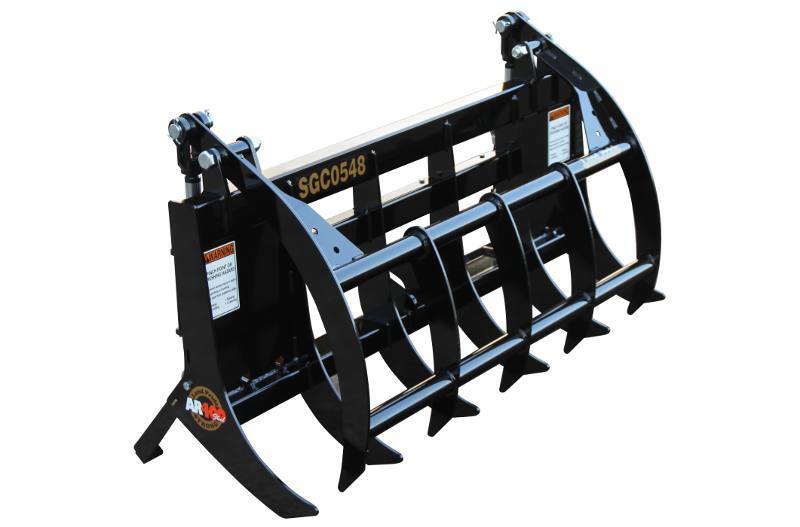 Land Pride’s SGC05 Claw Grapple is designed to fit BX Tractors with Kubota’s unique Quick Hitch system or pin directly to the LA203, LA243 and BX25D loader arms. An available Land Pride 3rd function valve accessory kit adds versatility to your tractor and completes the grapple package. 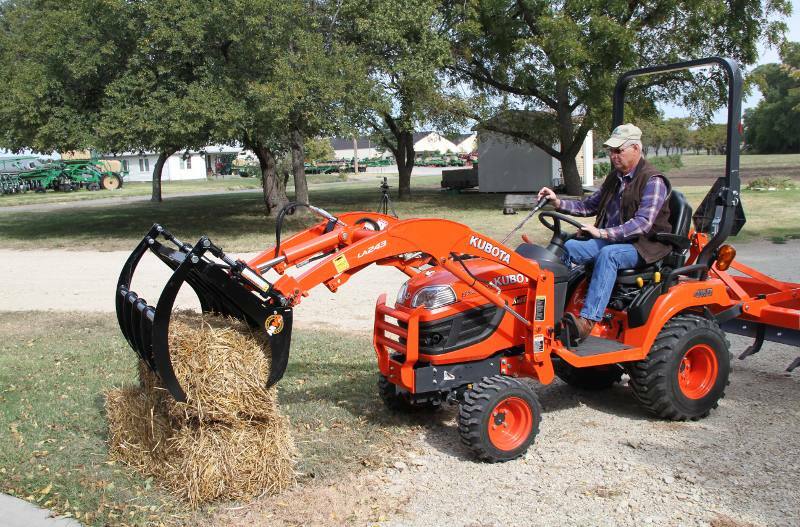 Fits Kubota’s BX80 Series tractors with Model LA340S or LA344S loader and universal quick attach hitch: Easy to hook-up. 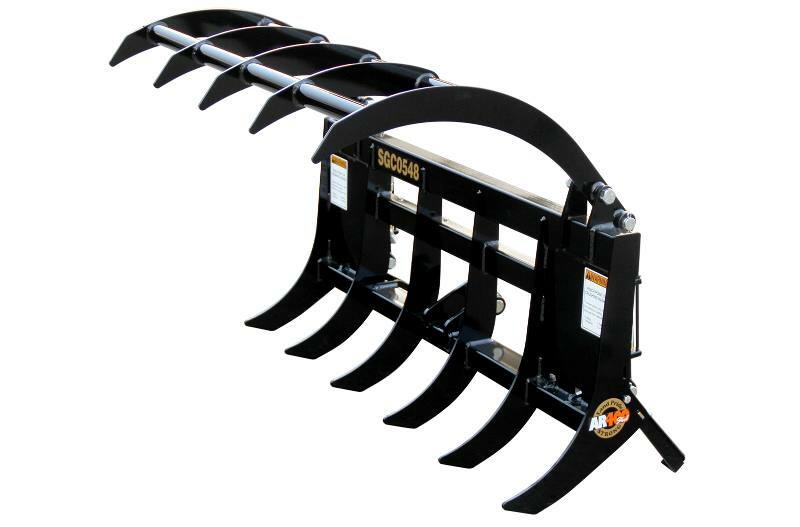 A good fit for Kubota BX80 Series tractors with a universal quick attach hitch on the front of the loader. 3/4" Pivot pins: Large diameter pins for extra strength. Dual hydraulic cylinders: Allows upper claw to grip the material better. AR400 teeth material: Four times the strength of mild steel. High volume cage design: Can handle large volume of material. Working length of teeth: 8 3/8"